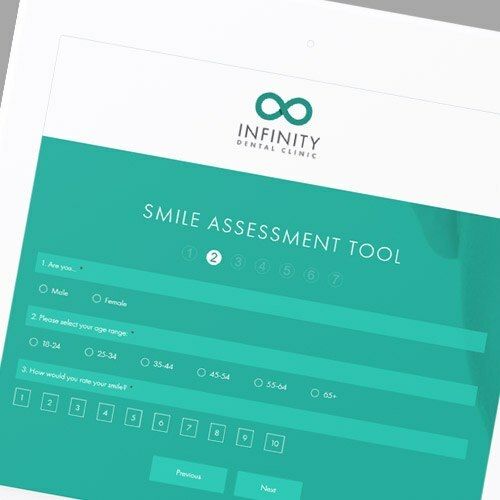 A rebrand, new website and marketing shake-up has seen Infinity Dental stand out in its industry. Infinity Dental Clinic aren’t like every other dental practice. Located in Leeds since 1958, they want to be seen as a cut above the rest, with qualified, specialist dentists who provide high quality, state of the art dentistry, in addition to their skin clinic that provides facial aesthetic treatments. Practice owner Mohsin Patel had a very clear vision of the future branding for Infinity. He approached us to help him realise this, with a new logo, business stationery and leaflets for the clinic, and a new website on the cards. With a name like Infinity Dental Clinic, there was an obvious direction for the logo. The imagery used would, without a doubt, be based on the lemniscate – the symbol for infinity. It might seem obvious, but creating that instant link between the logo and the business can’t be passed up. The challenge came in taking a simple, instantly-recognisable symbol, and creating something that stands apart, while also representing the professional nature of the clinic. We introduced three distinguishable features into the logo design. By adding shading onto the crossover of the symbol, using a strong colour scheme (with the primary colour aptly described as Dental Teal), and positioning it alongside the company name, we were able to create something immediately identifiable with the company. Once Mohsin was happy with the logo, it was time to develop a full set of brand guidelines. These are essential to ensure that branding elements are used consistently throughout the business, within all communications. The set of rules outlined the correct use of the logo and accompanying straplines, the use of typefaces and the colour palette, which included an extended range of shades to compliment the Dental Teal. It also discussed the use of imagery, which is important for an aspirational brand that prides itself on improving people’s appearances. In addition to the Dental Clinic, a set of guidelines were also produced for the Skin Clinic, the facial aesthetics side of the business. The branding followed the same rules as the dental clinic, but instead of Dental Teal, the Skin Clinic incorporated the use of Infinity Plum, a distinct colour more closely associated with skin and beauty. These brand guidelines were used to create a full range of company stationery, including business cards, along with brochures – the Infinity team provided the content, which we sub-edited, laid out, and worked with our trusted local printer to get delivered to the practice’s doorsteps. The website was designed to allow users to be able to navigate through to either the Skin Clinic or Dental Clinic at almost any point. The homepage balances both brands, offering the two very distinct options in the form of banners, with CTAs to the other section present on individual service pages. 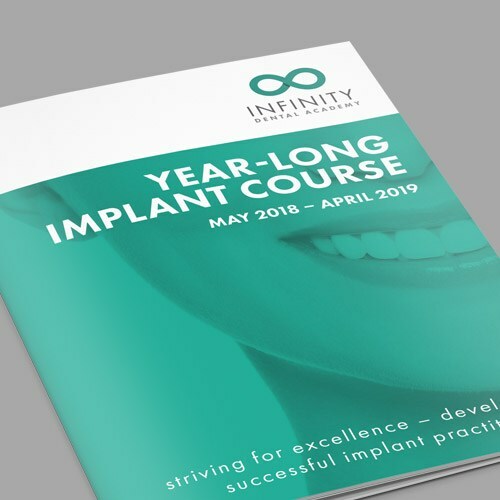 The content on this brochure website has been created and laid out to give readers a good level of understanding about the services offered by Infinity Dental Clinic. 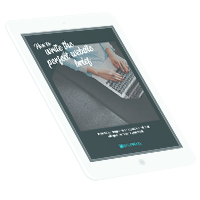 Their open and honest approach appeals to users who are at the first stage of their buyer’s journey and have questions about some of the procedures – questions that they need answering before making contact with the clinic. Downloadable factsheets and brochures created by the Infinity team were added to the site as gated content, which means the users need to enter contact details to access. This is a great way of Infinity Dental growing their prospect databases to further promote to them via email. The site was a WordPress build, with a powerful CMS that allows Mohsin and his team to update the content on a regular basis. Since launching the site, there has been a flurry of articles and blogs added by the clinic, which have already sparked the interest of future customers. We have built a good relationship with Mohsin and the team at Infinity Dental Clinic, and will continue to work with the client as brand gatekeepers as the company grows into one of Leeds’ most commendable Dental Practices. We’re always on hand to help out with on-brand work – a recent task saw us creating a Christmasified version of the Infinity logo for the holidays, for example! I needed to work with a team that could see my vision and make it a reality. The team at Splitpixel worked closely with me to understand my philosophy and make it a reality. Everything from our website to our client brochures has been designed thoroughly with a quality finish. I will be continuing to use Splitpixel’s services for our business’s growing requirements. Thank you Greg, Charlie and the amazing Splitpixel team!